I have developed a penchant for perfumes early on because of my mum. She's never too fussy about having so many clothes, make-ups, bags even. However, she has a rather small collection of quality perfumes from then till now. I remember she has these gorgeous bottles of Chloe, Anais Anais, Elizabeth Arden and the like. Obviously, I lived on hand me downs from her but as I grow older, I have selected the ones that exudes my personality. "You always smell good!" That's a compliment I am so very happy to hear every now and then. I honestly think you owe it to yourself (and well, to the world) to smell good. It always astounds me that when you smell something bad, your facial expression changes. When you smell poop, don't tell me you'll smile by default? If you do, go see a doctor! Likewise, when you smell a gentle flower scent, tendency is your face will lighten up. Amazing, isn't it? 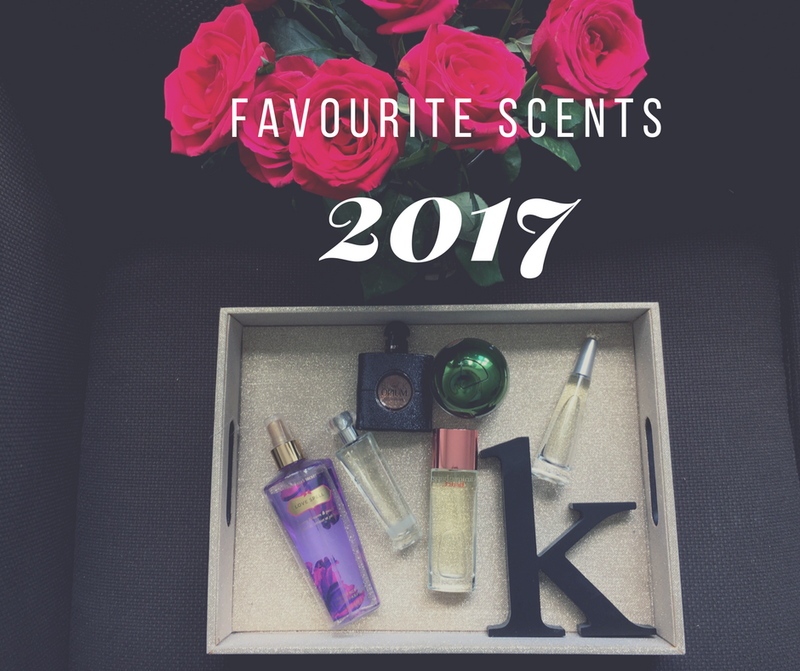 My Top 6 favourites are nothing out of the ordinary. Yet, they are all close to my heart because to me, they are not just perfumes. When I sniff them, I think of memories. They're an instant mood lifter too. Clinique Happy Heart. This is the first perfume that I told myself, ahhh... this is me! It has this citrusy, woody scent and it just compliments my body chemistry. Most perfume does not last long on me but not this one. I like the Clinique Happy variant too. DKNY Be Delicious! I have discovered this one last 2015. I was scouting for something more fresh and summery. Bam! I got what I wished for in one bottle. This is the second bottle ever since. It's funny because as I told you it brings back memories. I want to try the red apple kind once I finished the current bottle. There was one time I was in Waterloo when a lady in her early 30's asked me what perfume was I wearing because it really smells good. Issey Miyake L'Eau d'Issey (Eau de Parfum). I am a fan of eau de parfums rather than eau de toilletes because the former last longer on me. Whenever I go perfume shopping, I'll be asking whether it's oil based or water based (oil based ones last longer, generally). This one is an intense version of Calvin Klein's. I was once a fan of CK's but I outgrew the brand I guess. I like Issey Miyake because it's man-like but not quite. Yves Saint Laurent Black Opium (Eau de Parfum). I have used this perfume non stop early 2016. It's unbelievably nice. It is not too sickly and very sophisticated in my opinion. I have tried YSL's red lipstick and I'm not too happy about it because it leaves residue on my teeth! But that's another story. This perfume though! It's worth every penny. Victoria's Secret Love Spell. Common. Who in this world has never owned at least one VS product? Let's be honest! This reminds me of my review days when I was about to take the board exam. If you want something light (esp. if you're not going anywhere) spritz some and you'd be strutting like a VS angel in no time. Cue: You got that moves like Jagger! 25th Edition (by a brand called Forever Living). I got this as a gift and this smells nice! It has some floral undertones and it reminds of me summer. It's my Saturday kind of perfume. Or sometimes, I spray liberally after my shower (post workout). ​I have used both Clinique Happy and Clinique Happy heart and I think both perfumes have some special notes which make them very unique. I really love the fragrance of both perfumes. By the way, thanks for sharing your list of favorites.